Yesterday (25th April), Board Member Operations Soeren Stark of Lufthansa Cargo pushed the button, moving the 100,000th ton of air freight into Frankfurt Airport’s Speed Gate. FRA operator Fraport introduced the automated portal nearly four years ago to enable ground handlers without direct airside access a rapid throughput of their exports or imports, thus matching the advantages first line handlers enjoy at the airport’s CargoCity South. One push on the button by manager Soeren Stark and a large Lufthansa Cargo pallet is smoothly drawn into the freight terminal swiftly moved by a large transfer vehicle built by Lodige Industries. It was an operation alike many before, done day by day, hence nothing spectacular. Except for the fact that it wasn’t any shipment, but Lufthansa Cargo’s 100,000th ton moved either in or out of the Speed Gate since 2014. After shipments arrive inside the freight terminal, their contents are security checked and subsequently brought directly to the aircraft parked in front of the facility. 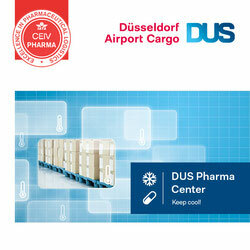 Looking at it this way, the facility has become an accelerator of air freight flows, speeding up ground processes substantially at Rhine-Main Airport. According to Fraport speaker Dieter Hulick, most of the local handling agents are processing their imports and exports via Speed Gate, including forwarding agents. Among them are Swissport, Panalpina, ULS Airlines Cargo or CHI Cargo Handling, to name but a few. But it doesn’t come for free: all users have to pay an additional charge to benefit from the service. Lufthansa Cargo emphasizes that Speed Gate enables them to offer clients a service tailored to their needs at the carrier’s Frankfurt hub. 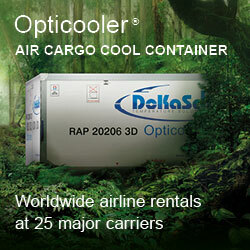 “We collect the cargo from our clients, either loose or on pallets. As part of the acceptance service, we also check the built-up pallets directly at the customer warehouse. With the import service, we offer our suppliers the option of having their cargo delivered directly from the aircraft to their warehouse via Speed Gate. 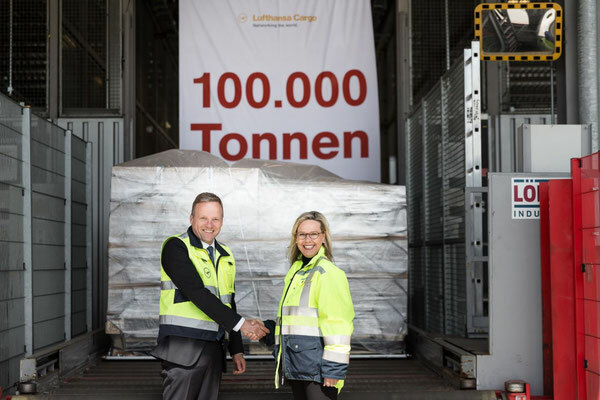 This makes waiting times a thing of the past,” applauds LHC’s executive Soeren Stark, before ceremoniously pressing the button to send his carrier’s 100,000th ton of cargo airside through Speed Gate. Meanwhile, his freight airline is reaping the fruits of its effort to offer clients the optional use of mobile add-ons. This enables LHC to collect cargo directly from the freight terminals of their customers, saving their suppliers a lot of time.